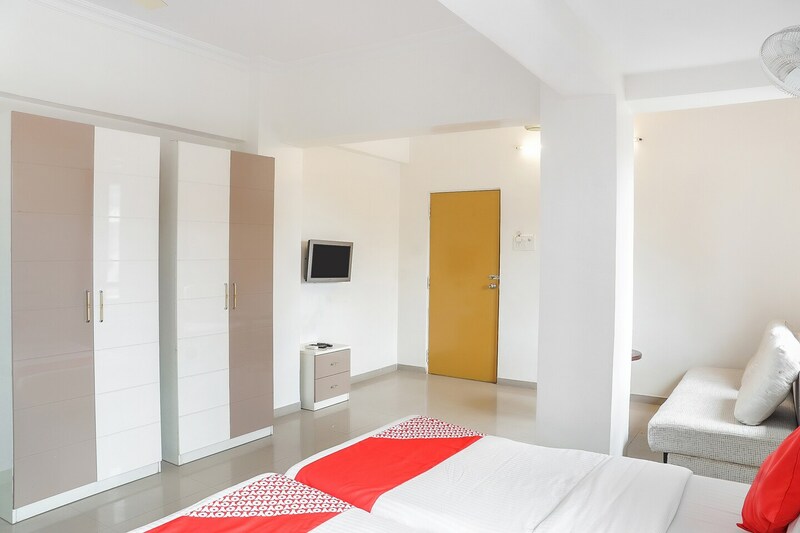 Hotel Gajanan Pride is an amazing piece of property in Nashik which is primarily famous due to its location as it is located within close proximity to a number of important landmarks. The hotel is located near Gadre Mangal Karyalay within the Gole Colony. The additional facilities provided by the hotel are free Wi-Fi, an uninterrupted power backup source, CCTV cameras, and card payment in all forms. All these facilities help the guests enjoy their free time after a tough day at work. The hotel is surrounded by a number of eateries such as Bagga Sweets and Snacks, Kake Da Dhaba, Budha Halwai, Kokni Darbar, and 21st Century Bar and Restaurant.